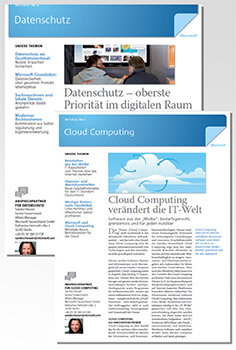 Booklets on special topics for a leading IT company. 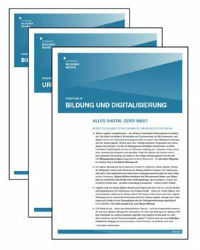 For the ongoing campaign “Digital Germany” of a leading IT supplier hbpa is conceptualizing, authoring and designing a series of booklets on special topics such as “eHealth”, “Smart Retail”, “IT-Security” and “Innovation in small and medium sized companies”. The booklets are also used in the context of corresponding events, which are designed, planned and organized by hbpa as well. Cisco Booklet October 2018 on "Smart Cities"
Cisco Booklet March 2018 on "Work in the age of digitization"
Cisco Booklet July 2017 on "Innovation in small- and medium-sized companies"
Cisco Booklet April 2017 on "IT-Security"
Cisco Booklet November 2016 on "Smart Retail"
Cisco Booklet September 2016 on "eHealth"
Für einen Stakeholder aus der Bildungspolitik erstellt hbpa mehrere Positionspapiere zur politischen Positionierung des Verbandes u.a. 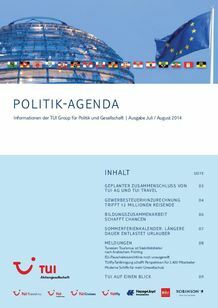 zu den Themen Bildungspolitik, Urheberrecht, digitale Bildung, Finanzierung und Pädagogik. Booklets on special topics for an industry association in the sector of supply and disposal infrastructure. This publication addresses relevant political debates, defines the core competencies and economic impact of the associations’ members and describes their solution proposals in the field of energy policy, circular economy and drinking water hygiene. Policy Agenda of a leading company in the tourist industry. 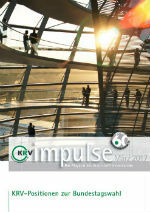 In this 16-page booklet the company lists its relevant political focuses for the 19th legislative period. The key message: Measured by the added value and the number of employees, the tourist industry is one of the leading economic sectors in Germany, which should be considered appropriately by the politicians. Political policy papers. For a leading food retailer hbpa planned, wrote and designed seven political policy papers. The publications focus on a range of topics, all of which are important to the customer’s stakeholders. They include informative specialist knowledge, political recommendations and messages. hbpa conceptualized and wrote a series of 4-pagers on topics such as data security, copyright law or e-government. The booklets serve to explain political stakeholders what challenges arise in the mentioned fields and which solutions the company provides for these.